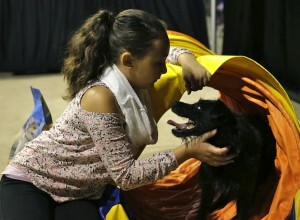 Siblings: Older sister who is a very talented dog trainer and performer. 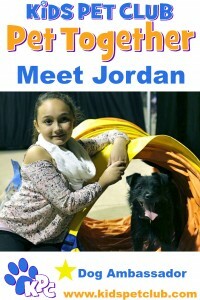 Jordan has loved dog trick training and performing since she was a baby. 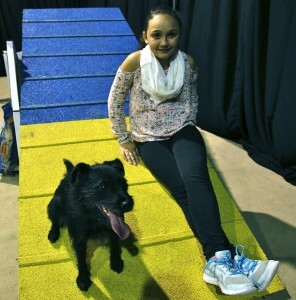 She has performed at many events including Canada’s Wonderland and Pet Expos. Her favourite trick to do with her dog is “play dead”. 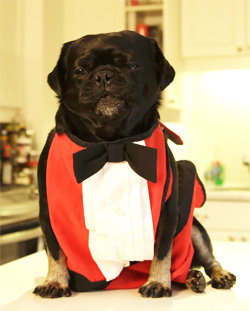 Jordan’s dog Boots can do “High Five”, “Sit”, “Lie down”, “Sit pretty” and a bunch of other cool tricks. 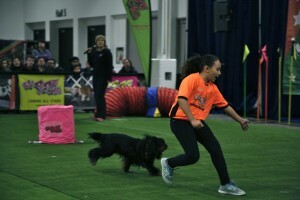 She regularly competes with her dogs in flyball, agility, dock diving and rally, performing at events across the province of Ontario with the Woofjocks. Jordan loves dogs because they are really easy to train and are cute. 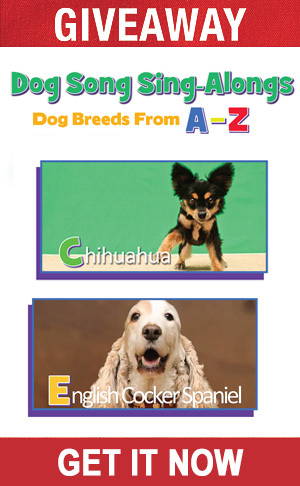 Her family own a wonderful Dog Training Facility called K9 Central.